The most likely products to end up in the trolley are those with bespoke packaging that stands out from all the other possibilities. It has to have an instant, eye-catching appeal. Walking down a supermarket aisle, you are faced with an extensive range of options. As a consumer, you need to make a quick decision before moving onto the next items on your list. As a manufacturer, you want to ensure that yours is the brand of choice. Packaging plays a vital role for both parties. From either perspective, the product packaging needs to be distinctive. The most likely products to end up in the trolley are those with bespoke packaging that stands out from all the other possibilities. It has to have an instant, eye-catching appeal. If your brand invests in bespoke packaging, you can provide the best protection for your products, as well as an aesthetically pleasing design. As a result, sales and brand reputation can increase, whilst the risk of damage is reduced. That’s the route to rich pickings or, in business speak, a great return on investment. Whilst it is common for supermarket own labels to mimic brand packaging, simply replicating existing packaging designs isn’t the key to success. If you want to get noticed, bespoke packaging design is essential. This is where the Five-Year-Old Test comes into play. To pass the test, it must be possible for you to describe your packaging to a five-year-old and for them to find it in the aisle. Children are exposed to (and influenced by) marketing messages every day. It is estimated that the average five-year-old can recognise around 400 different brands. Is your sufficiently distinctive to ensure that they could identify it on the supermarket shelves? At the heart of success is a simple, intuitive design. It should also hold immediate appeal for your target customers. Are they looking for a natural range or the latest trend? Is quality a priority or are they more likely to be tempted with humour? If your company has evolved to best meet the needs of your customers, the packaging will share important values, as well as showcasing the product inside. As experts in cardboard engineering, packaging design and print, Aylesbury Box Company is on hand to help bring your concepts to life. Get in touch on 01296 436888 for our advice. Is it possible for product packaging can become too alluring? The Labour Deputy Leader, Tom Watson has recently objected to cartoon characters appearing on the packaging of sugary foods, because they make ‘bad’ foods all the more appealing to children. We all know that sugary foods delight the taste buds, but there are a number of health-related issues when they are eaten in excess. 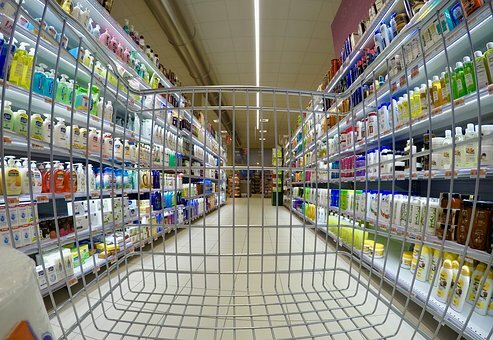 In a recent speech, he asked leading manufacturers to take an ethical stance to make the packaging design on unhealthy food and drink less desirable. If cartoon characters are banned, what other methods could help to distinguish one brand from another? Driven by a desire for reuse, recycling and the circular economy, Aylesbury Box Company has a few suggestions. As a simple solution, templates could be printed on the packaging, to be cut out and assembled, inspiring creativity in the next generation. What ideas have your team had?